Home / Nutrition / Potatoes / What is the Healthiest Way to Cook Potatoes? Potatoes are the top vegetable crop in the US and 4th most consumed crop in the world. One reason potatoes are so appealing is they are a cheap, comforting staple that can be incorporated for many dishes. Potatoes can be cooked a number of ways from crispy French fries to smooth, creamy mashed potatoes. Therefore, most people can find a cooking method for potatoes that suits their taste preferences. 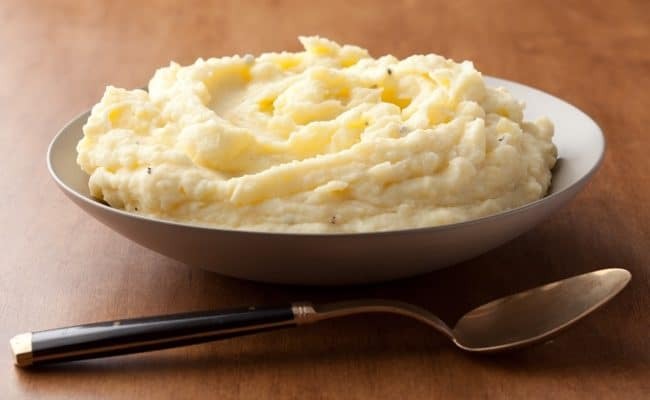 Potatoes are primarily carbohydrates which is why they have received a negative reputation as lower carbohydrate foods and diets have become more popular. However, potatoes can be enjoyed as part of a healthy diet as long as you cook them in a healthy way. Potatoes provide many important nutrients including antioxidants, fiber, potassium, vitamin C and vitamin B6. 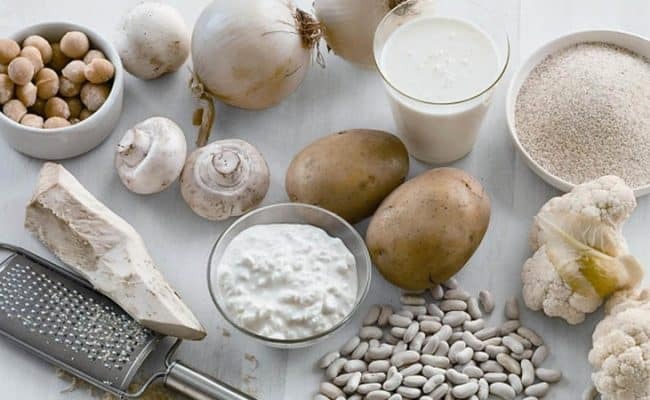 Potatoes can impact blood sugar levels, but how much potatoes increase blood sugar depends on how you cook them, serving size, how much the potato is processed and what other foods you eat with them. 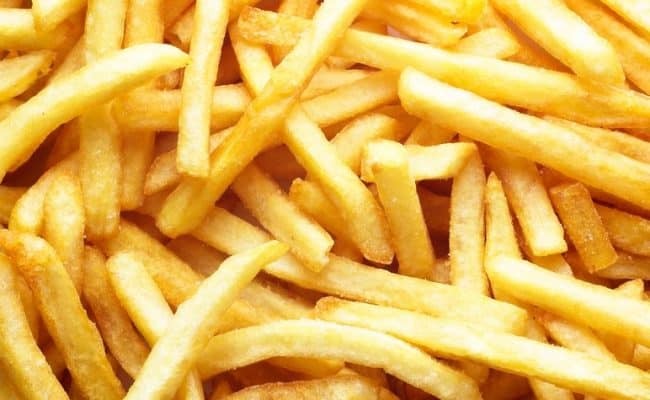 Unfortunately, potatoes are now mostly consumed in the form of pre-made potato products like French fries, hash browns and tater tots. In fact, during the 2000s, Americans got about 64% of their potatoes from processed forms (1). The healthiest way to eat potatoes is in their natural form with the skin and limiting cooking loss of nutrients. B vitamins, vitamin C and potassium are sensitive to heat and water, so these nutrients can be affected different cooking methods. One of the healthiest ways to eat potatoes is in it’s purest form: whole and baked with the skin on. Baking can minimize cooking loss of nutrients. Potatoes can be baked whole or they can be baked cut up like French fries. Baking cut up potatoes is a healthier alternative to French fries. Boiling potatoes and any other vegetables can lower their nutritional content. Some nutrients like B vitamins and vitamin C are lost in cooking water. 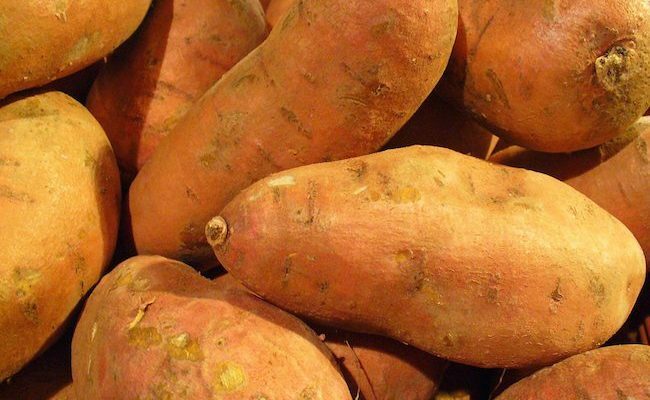 Boiling potatoes with the skin on can help keep nutrients in potatoes. 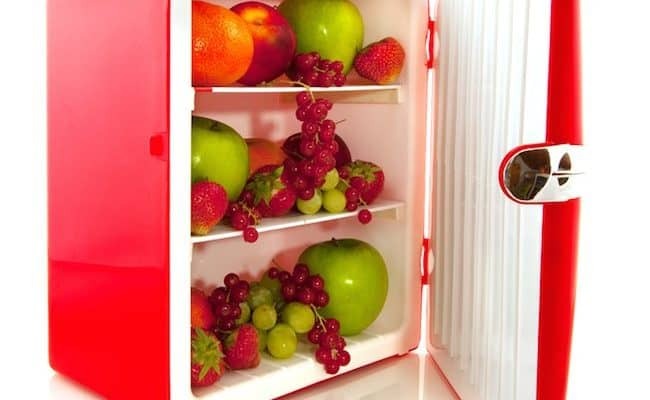 Minimizing cooking time can also help lower nutrient loss. Avoid cooking potatoes with high heat for long periods of time. Make sure to stop cooking potatoes once they are just tender, not to the point where they are mushy. Using the cooking liquid, like in soup, can also help keep the nutrient content up. Instead of draining excess water, try to either use minimal water like with steaming or use the cooking liquid in your meal planning. The glycemic index (GI) and glycemic load (GL) are ways to measure food’s effect on blood sugar levels after eating. Since potatoes are high in carbohydrate, they typically have a higher GI and/or GL. Eating a lot of high GI/GL foods is not recommended because it may increase risk for type 2 diabetes and weight gain. Drastically increasing blood sugar levels after eating causes a strong insulin response which can promote fat storage. Potatoes can vary on their GI/GL values depending on what type of potato is used and how it is cooked. Generally, the more a potato is processed, the higher the GI/GL values. 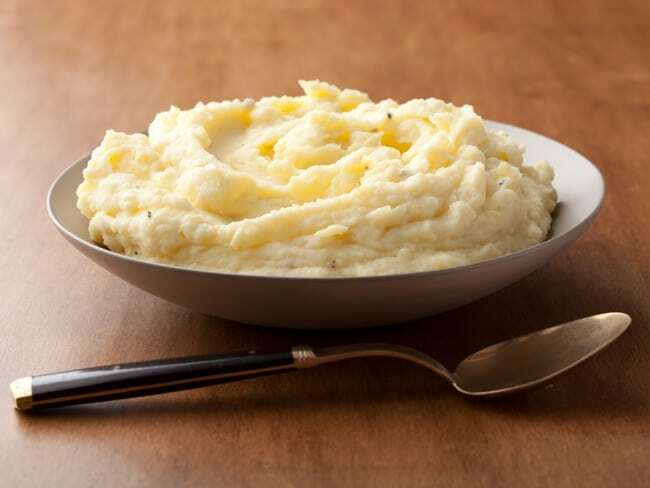 For example, mashed potatoes usually have a higher GI than sautéed or roasted potatoes. 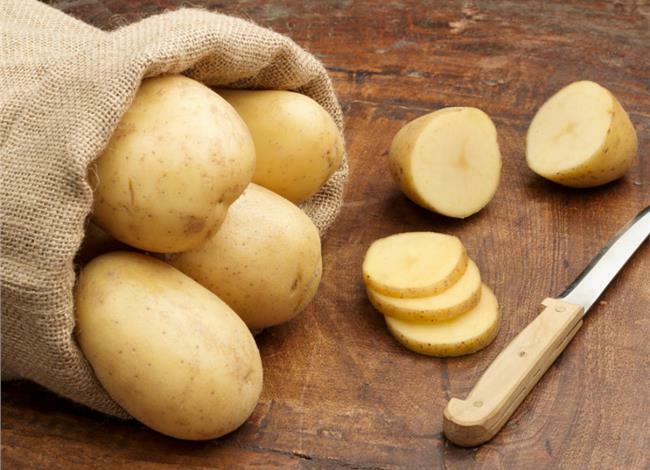 Keeping the skin on potatoes can increase the fiber content which can help lower the glycemic value for potatoes. GL takes into account the serving size of a food and how it will impact blood sugar levels. Eating smaller portions of potatoes can help keep the GL of a meal on the lower end. Some people have a fear that potatoes and other higher carbohydrate foods will increase risk for weight gain. If someone eats a lot of simple carbohydrate foods that spike blood sugar, it could increase risk for weight gain. However, eating potatoes as part of a balanced, low energy diet has not been shown to increase risk for weight gain. A 2014 study (2) had 90 overweight study participants follow one of three diets for 12 weeks. One group was on a low glycemic low calorie diet, one group was on a high glycemic low calorie diet and a third group was not on a low calorie diet. All groups were instructed to eat 5-7 servings of potatoes per week. Researchers found after 12 weeks’ participants did not gain weight; in fact, all groups saw modest weight loss and body composition changes. This suggests potatoes do not promote weight gain, but rather overall diet is still the main key. Varying your potato intake can help you get a variety of antioxidants. 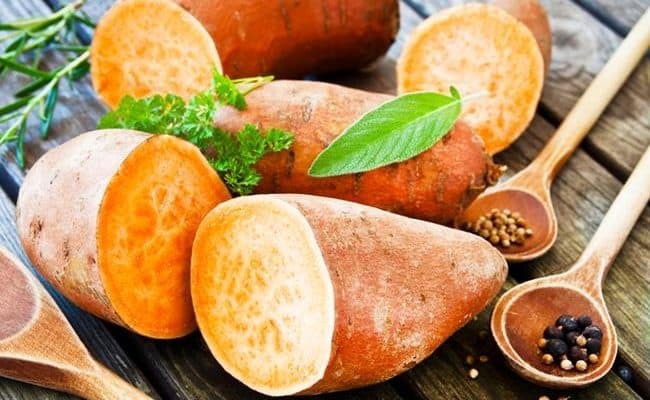 Instead of always choosing white potatoes, mix it up with orange sweet potatoes and even purple potatoes. 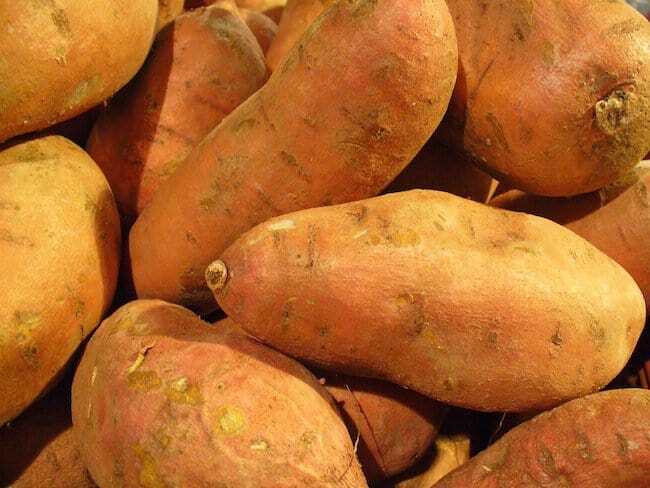 Sweet potatoes provide a rich source of vitamin A, much more than white potatoes (3). They also have slightly more fiber than white potatoes. 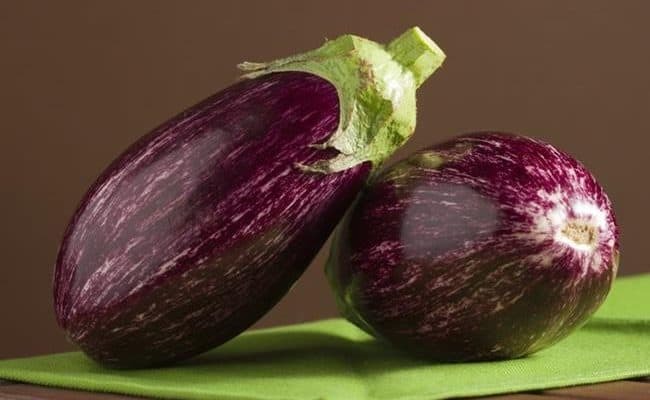 Purple potatoes are gaining in popularity and accessibility. 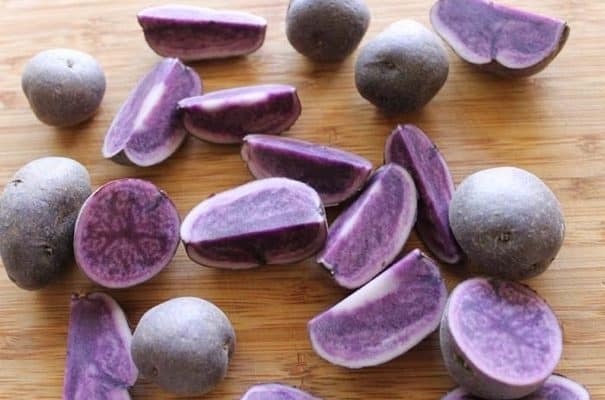 If you can find them in your grocery store, give them a try in place of regular potatoes. They taste the same as regular potatoes and can give a boost of the same phytochemical in blueberries and grapes called anthocyanins. What are you eating with the potato? The healthiest way to cook potatoes is to avoid adding in high amounts of cream, butter, cheese or artificial flavorings. Focus on using heart healthy oils like olive oil for baking, and top baked potatoes with avocado or Greek yogurt. Use fresh or dried herbs for seasoning instead of only salt for flavor. Avoid potato dishes that are fried, highly processed and topped with high calorie condiments for healthiest cooking options.